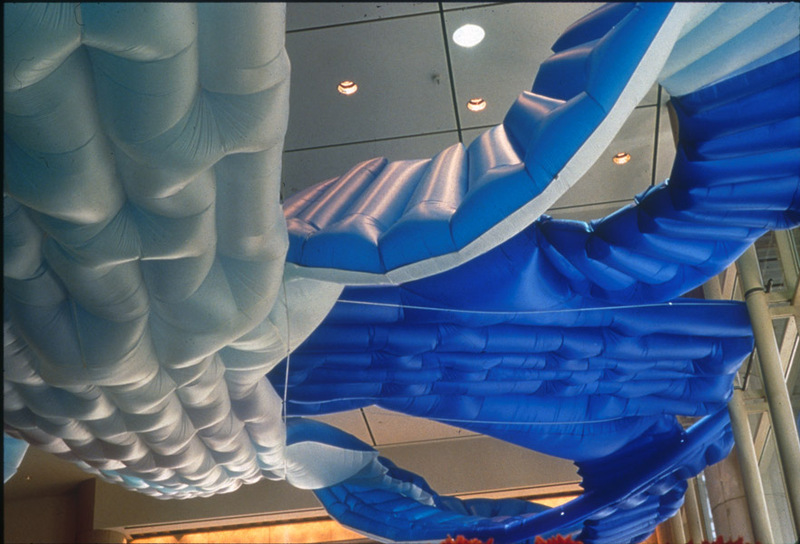 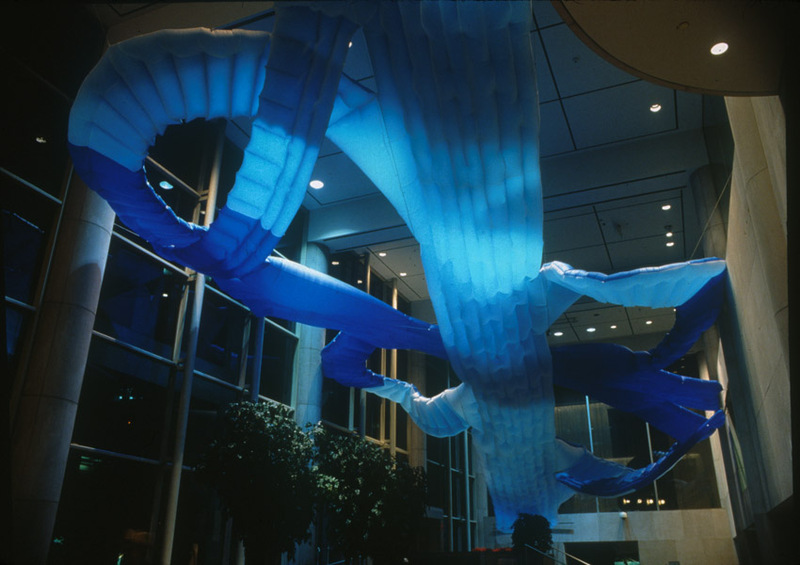 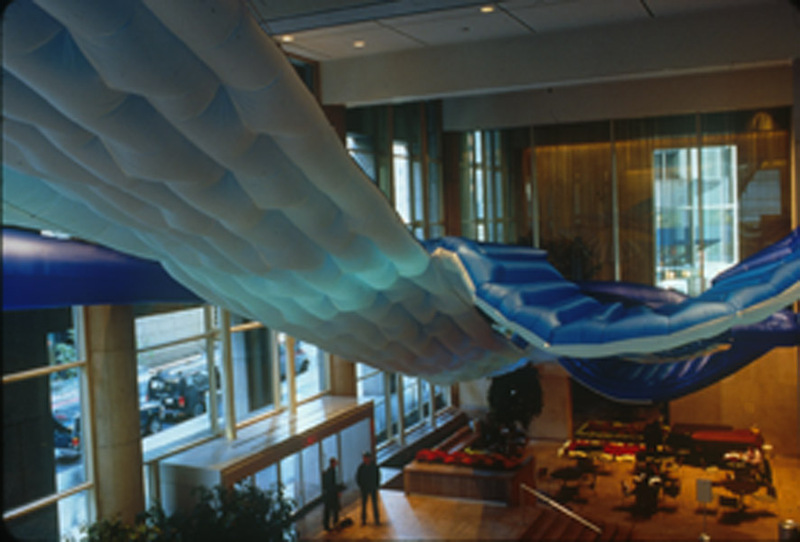 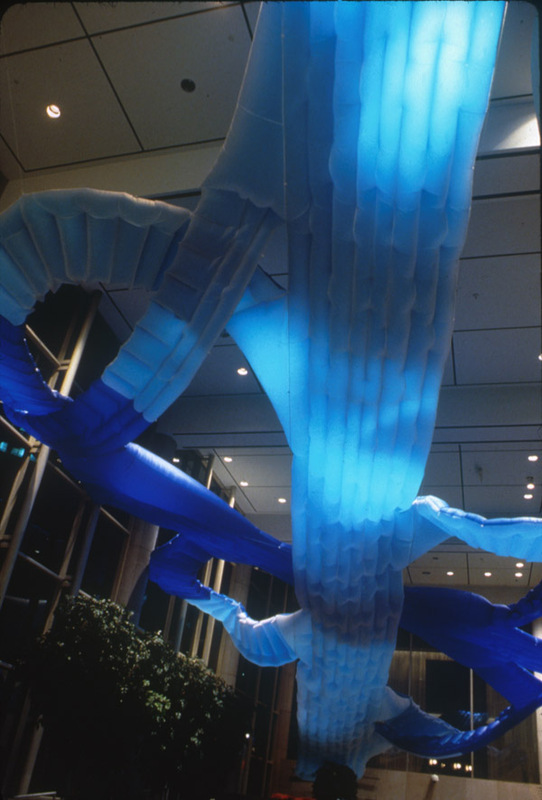 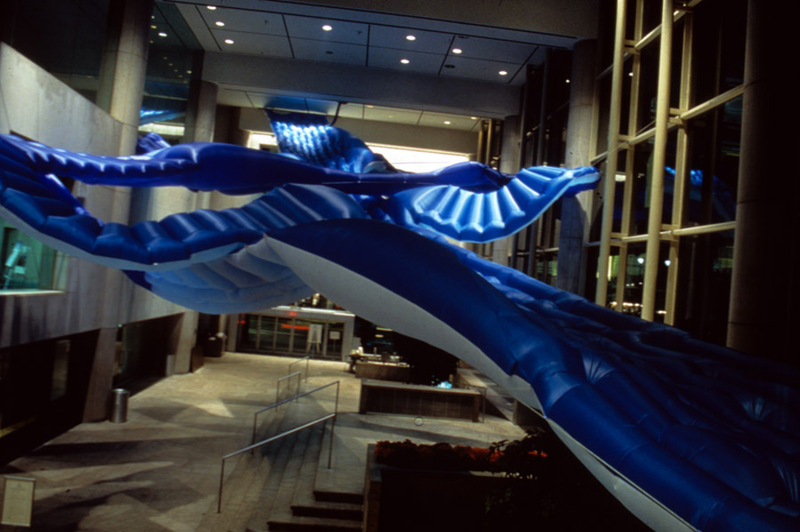 “Underpass”, 1999, 120’x50’x50’; nylon, cable, blower. 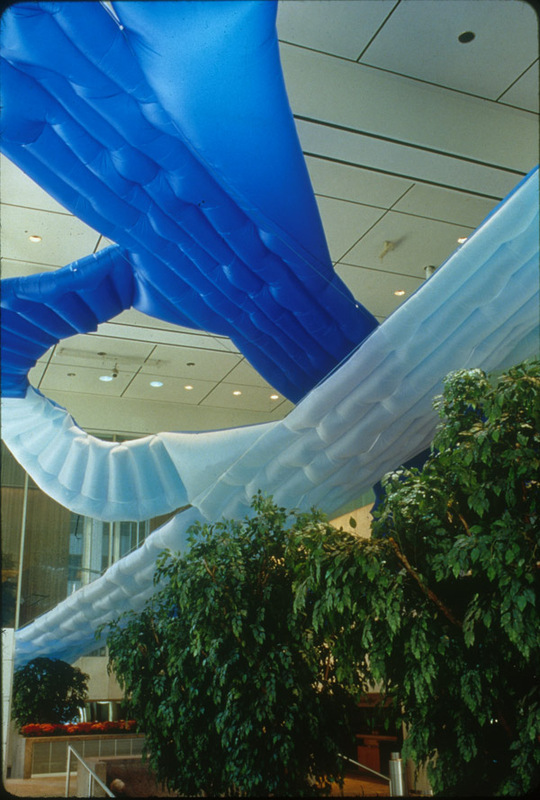 Installed at The Whitney Museum of American Art at Philip Morris. 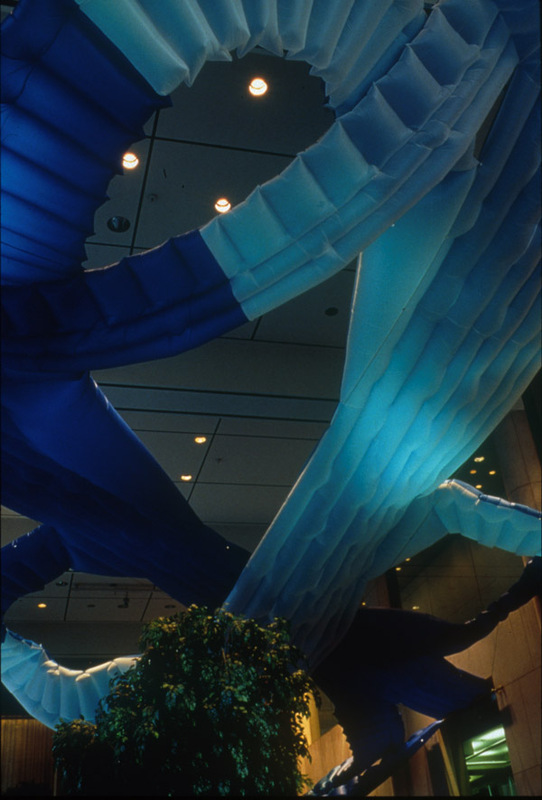 Form references a cloverleaf highway interchange.